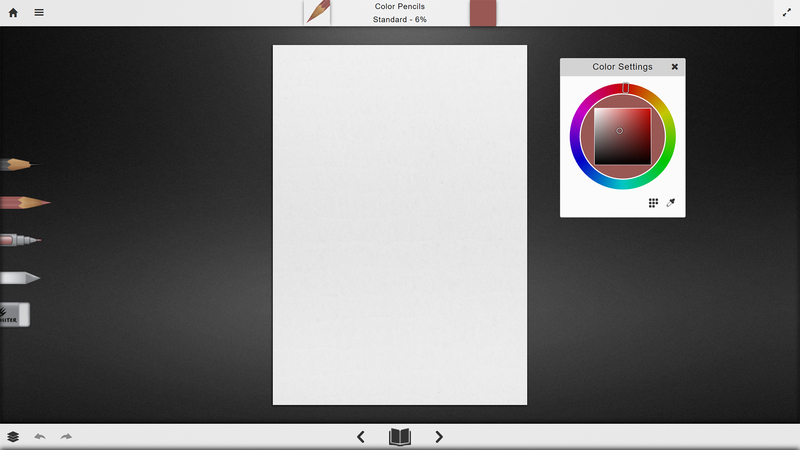 For tools that support color, such as the color pencil and the ink pen, you can use the color settings panel to manipulate colors. To expand the color settings panel, click the flat color button to the right of the tool description and properties, in the top-bar. 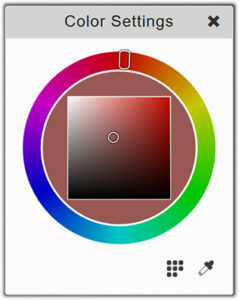 The color settings panel, contains a color wheel for selecting a color, a color preset area, and a color sampler. 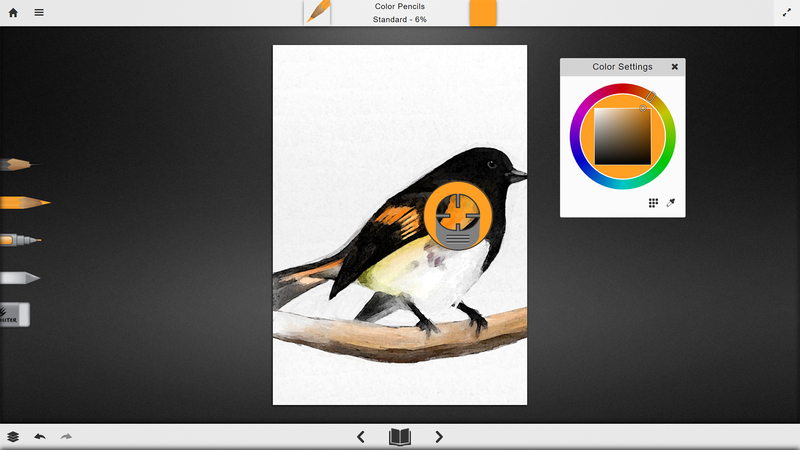 In the extended area, you can now add, remove and select colors. The color sampler will appear in the middle of the screen. To sample a color drag the color sampler above the color you want to sample.